Why do girls sometimes seem like alien beings? Find out — For Young Men Only reveals the real truth about what teenage girls think, what they want, and how average teen guys can build healthy friendships with high quality girls. 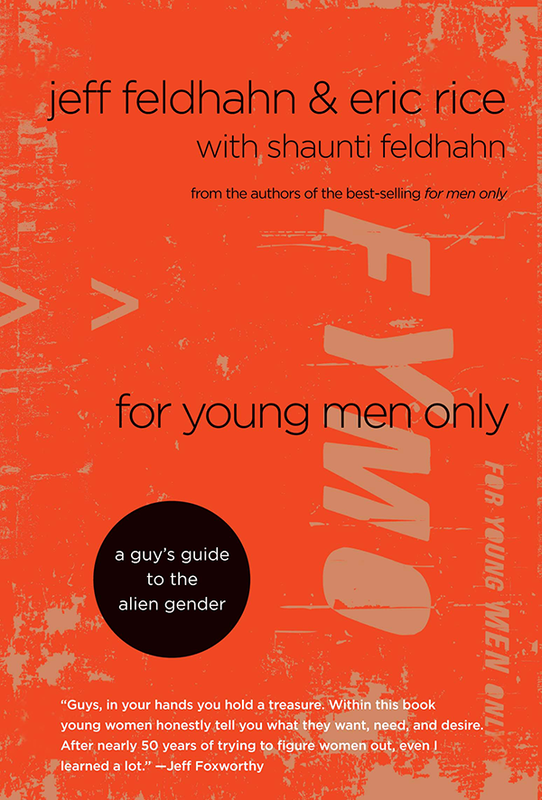 Drawing on a fresh national survey of 600 teen girls, as well as hundreds of personal interviews, FYMO delivers help straight from the girls themselves in a fun, easy-to-read, easy-to-talk about format. Guys, in your hands you hold a treasure–a book where young women honestly tell you what they want, need, and desire. I learned a lot, even after nearly fifty years of trying to figure women out. If you listen to what they’re telling you, you’ll avoid a mountain of confusion, anger, and heartache. If you don’t…you might be a fool. Turn off your iPod and cell phone, grab this book, and delve into the secret thoughts of hundreds of young women boiled down into eight simple, fresh chapters. Trust me, you won’t be disappointed. For Young Men Only is for any guy who has thought Is it just me? when it comes to relating to girls. Jeff and Eric slice through the beautiful and elaborate female mind and lay down a path that is clear and direct. When you buy something electronic, it always includes a user’s guide. Sometimes you read it, sometimes you don’t. This book is a user’s guide for teen guys as they learn how to relate to girls. Jeff and Eric have covered almost everything you need to know. And they’ve done it in a way that’s really easy to follow. I think you ought to read it. Two thumbs up for FYMO! It’s a great read for every young man–including the ones who are certain they already know everything about women. Maybe it should be required reading. Good job, Jeff and Eric. Finally a book for guys about all things girl! Jeff and Eric have revealed the truth about what those ‘aliens’ really want and need from us guys. And they do so by giving young men a unique glimpse into the minds and hearts of girls. Get ready, guys. On the following pages you’ll learn more than you could imagine about what girls really think–and why. Jeff and Eric’s hilarious sense of humor makes this book a fast and entertaining read. Even though FYMO is based on a huge survey, it’s not just facts and percentages. The authors get to the real heartbeat of who we are as girls and what makes us tick. I am so glad you’ re telling guys this stuff. That means maybe I won’t have to! Could you give a copy to every guy at my high school? View more books written by the author "Eric Rice".